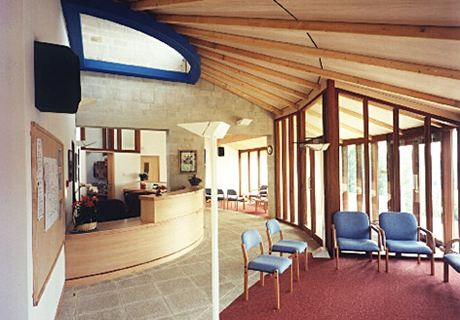 An earlier design for a medical practice but one which was very significant for us as architects; a practice of five doctors invited us, together with five other architectural practices, to produce design proposals for a new building which they intended to fund themselves. 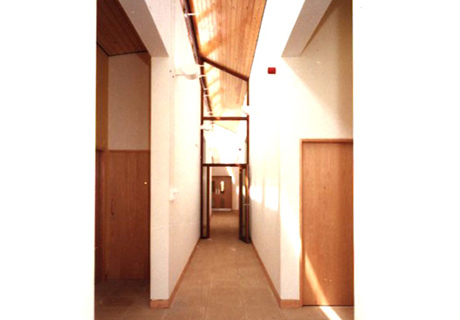 We were the successful candidate and the commission enabled us to work with the doctors to produce a building which demonstrates the quality of design which we always try to achieve. Set on a prominent and rather exposed site and accessible on all sides by public footpaths the building needed to be both easily accessible to the public whilst providing the level of privacy necessary for the consulting rooms. 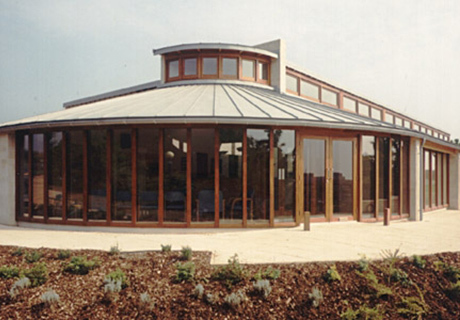 We designed a low-slung, single storey building set down within the site with a curved frontage to the reception area following the line of the public footpath running by. The remaining frontage to the footpath is separated from the public by extensive planting which creates a series of secluded terrace areas for each consulting room. 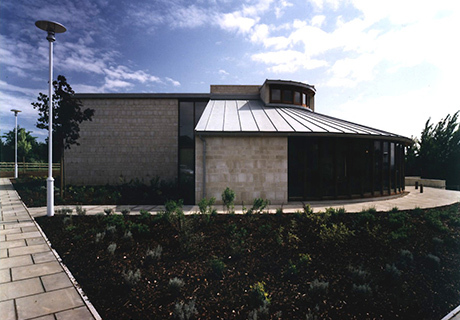 Although very simple in design, the use of very good quality materials such as reconstructed stone for both walls and hard landscaping together with cedar cladding has allowed the building to mature and settle into the landscaping.